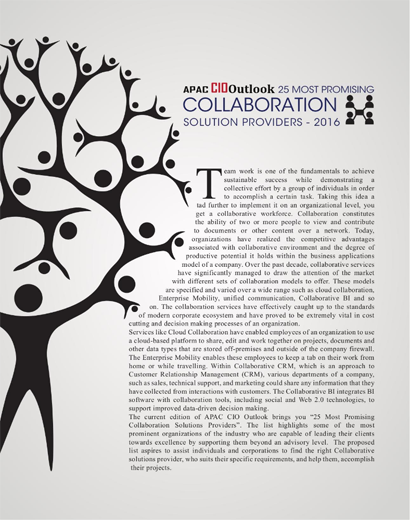 Pune, India – October 16, 2016 – The October 2016 Collaboration Special edition of APAC CIO Outlook, lists Mithi Software amongst the “25 Most Promising Collaboration Solution Providers” in Asia Pacific (APAC) countries in 2016. 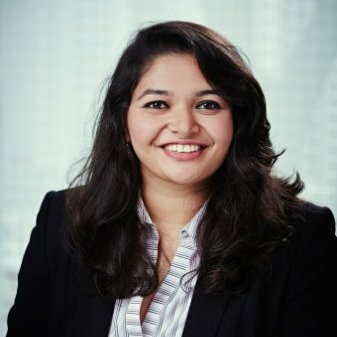 As per the Magazine – the list highlights some of the most prominent organizations of the industry who are capable of leading their clients towards excellence by supporting them beyond an advisory level. 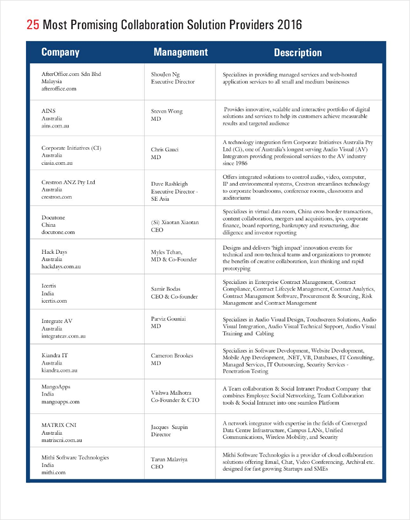 The proposed list aspires to assist individuals and corporations to find the right Collaborative Solutions Provider, who suit their specific requirements, and help them accomplish their projects (see page 14). 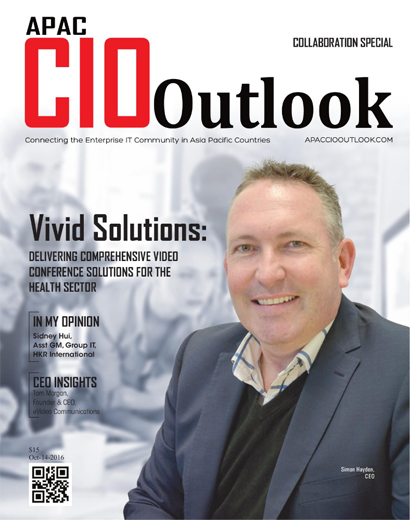 APAC CIO Outlook is one of the most popular magazine that connects the Enterprise IT community in the Asia Pacific region. 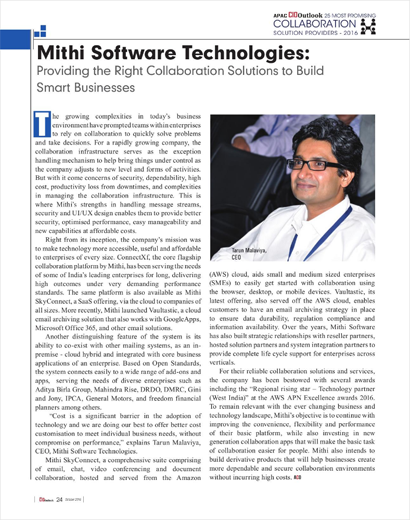 This edition talks about the wide range of collaboration models covering Enterprise Mobility, Cloud Collaboration, Unified Communication, Collaborative BI (Business Intelligence), etc. and how organizations have realized the competitive advantages associated with collaborative environment and the degree of productive potential it holds. Also, how the collaboration services have effectively caught up to the standards of modern corporate ecosystem and have proved to be extremely vital in cost cutting and decision making processes of an organization.